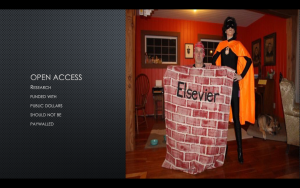 In October 2016, I was invited to give an Ignite Talk at the Digital Media and Learning conference at UC-Irvine. 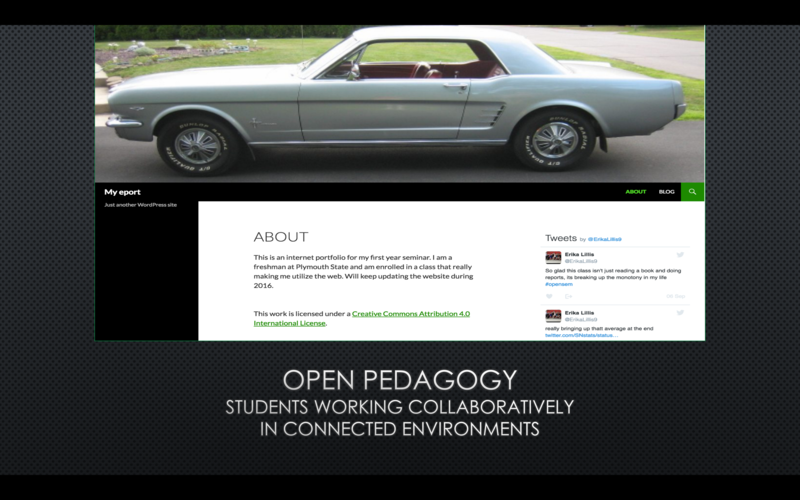 Ignite Talks are exactly five minutes long, with twenty slides that auto-advance every fifteen seconds. 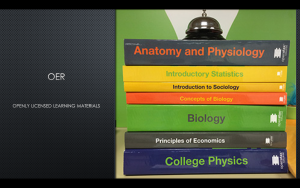 For those who prefer a text version, here are the slides with the transcript (or the transcript of what I was SUPPOSED to say, which mostly matches what came out of my mouth!). 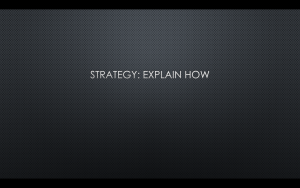 Video is embedded at the end of this post. 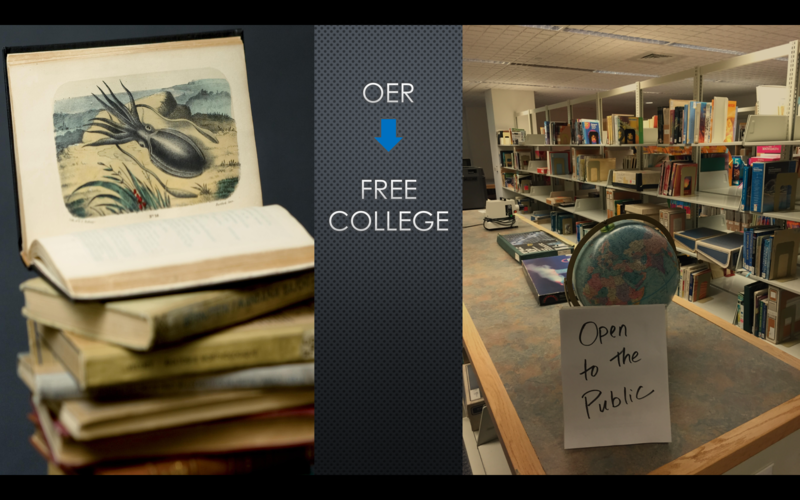 Public higher education in the U.S. is dying on our watch. Increasingly, we’re generating revenues through private enterprise, and on the backs of our debt-ridden students. It’s time to step up and build a case for public investment in public higher education. 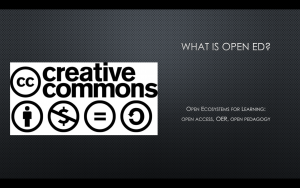 I want to build this case by using three cornerstones of the Open Education movement– Open Access, Open Educational Resources, and Open Pedagogy– to articulate the “public” mission of public higher education. 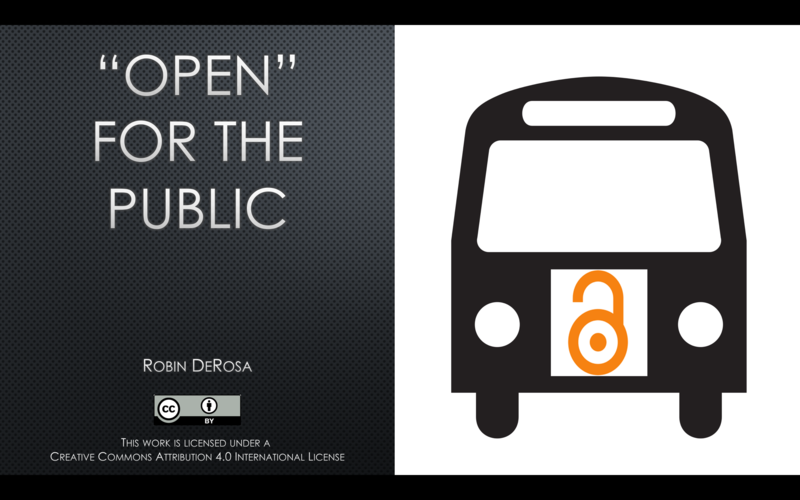 Open Access is the idea that research, particularly research that is funded with public dollars, should not be paywalled. 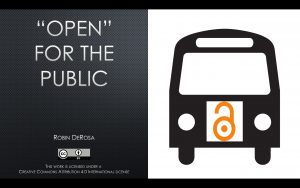 The public shouldn’t pay to fund research and then pay again to access it. 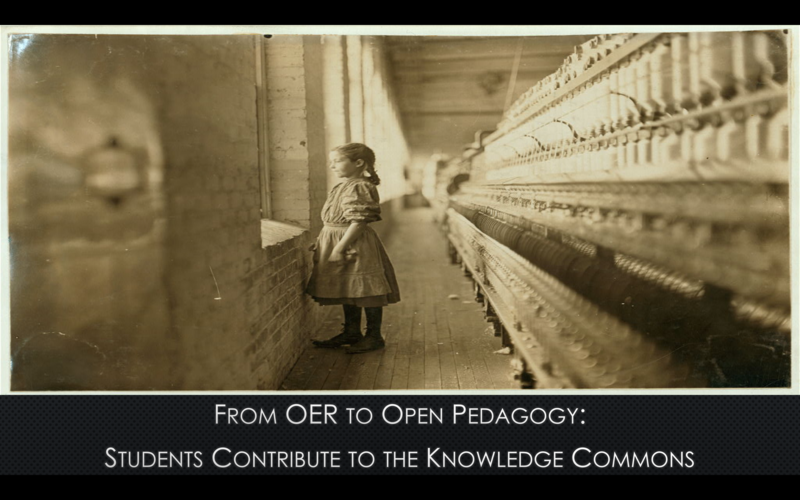 we can use OERs as a catalyst for conceptualizing a broader “open pedagogy,” in which learners contribute to the knowledge commons. 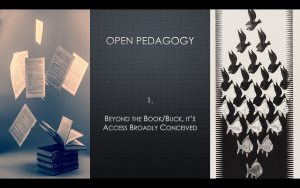 First, Open Pedagogy pushes beyond textbook savings to access broadly conceived. 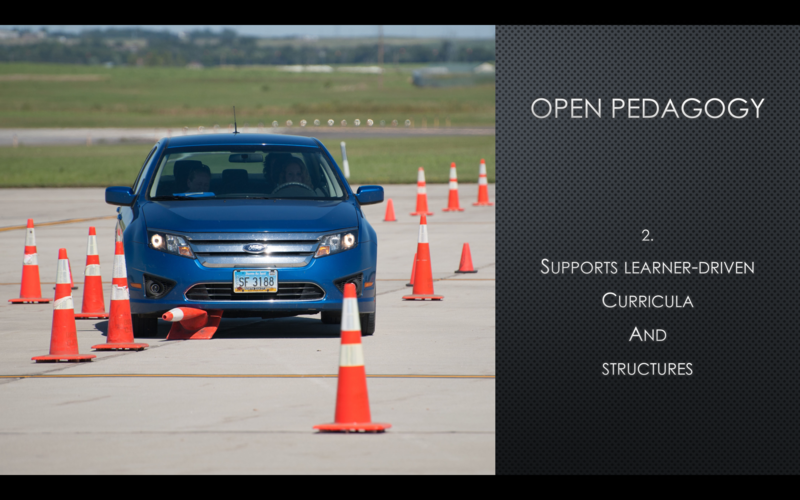 It makes visible the barriers that exclude and alienate learners, and works to confront and challenge them at every turn. 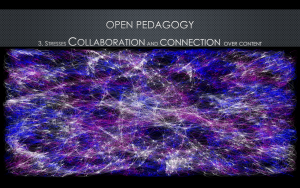 Second, Open Pedagogy encourages learners to co-create learning outcomes, policies, assignments, to design and control domains of their own, both online and in classrooms, so that they develop an authentic ownership over their educations. Third, Open Pedagogy deemphasizes the transmission of static disciplinary content with its limited shelf life, and instead develops scholarly and applied communities of practice to help learners enter lifelong collaborative conversations in their fields. And fourth, Open Pedagogy reconcieves the public college not as a gate that excludes, but as a node that connects different sectors and stakeholders in the public marketplace of ideas. 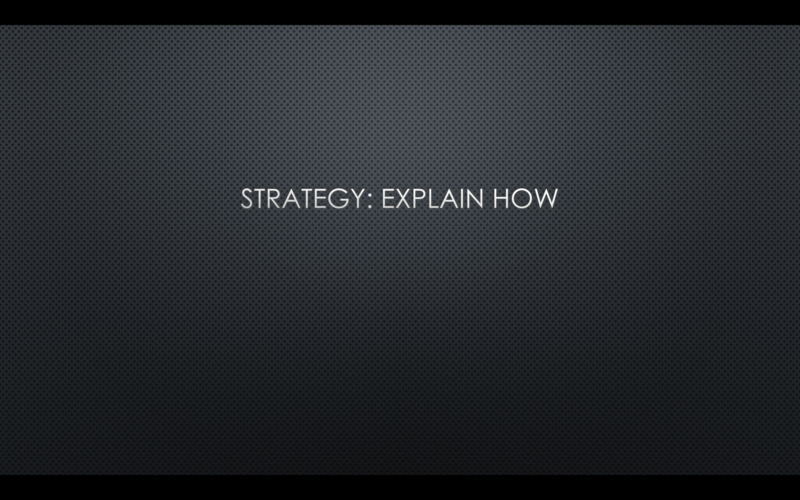 This is not a story of divine salvation. 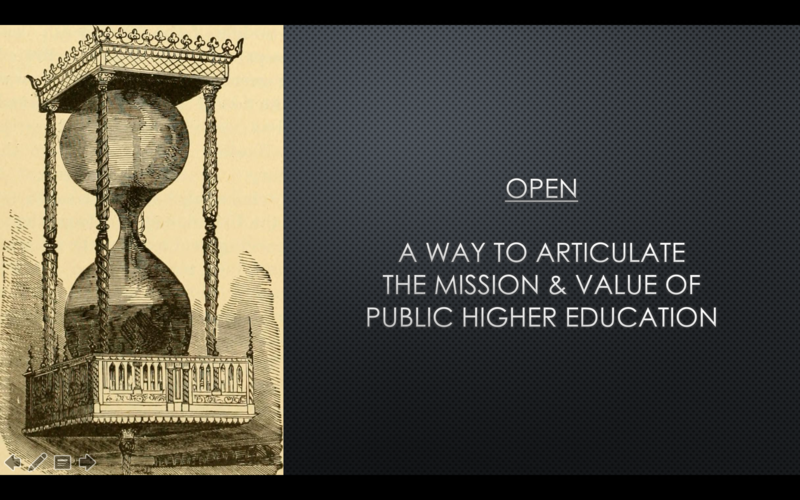 I am talking about articulating a clear mission focused around the principles of Open Access, OERs, and Open Pedagogy and building a strategic case that explains how “open” colleges and universities uniquely serve our publics. Why do we need to do this? 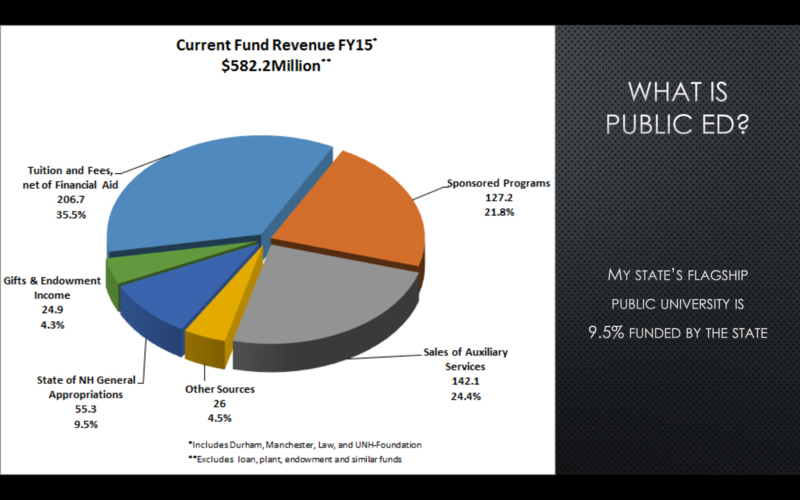 My state’s public flagship university is 9.5% funded by my state. We have lost any sense of what we mean when we call a university “public.” Open Ed demonstrates how universities do public education, which is what we need to show if we hope to increase public investment. 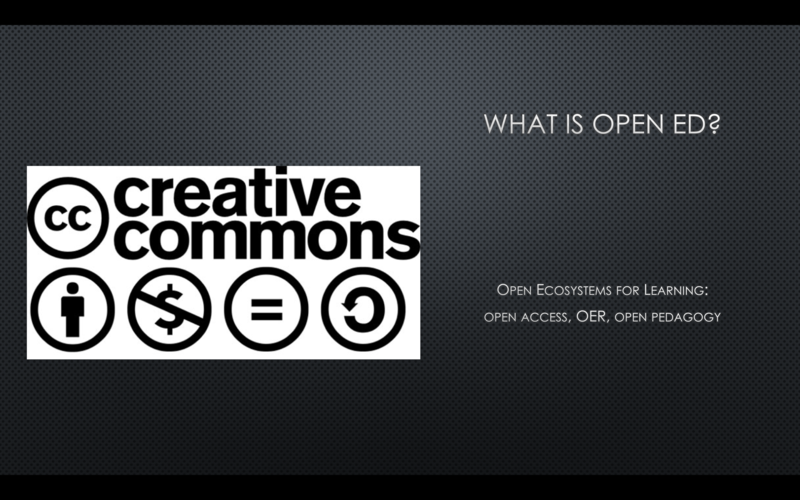 So what could education that is “open” for the public look like? 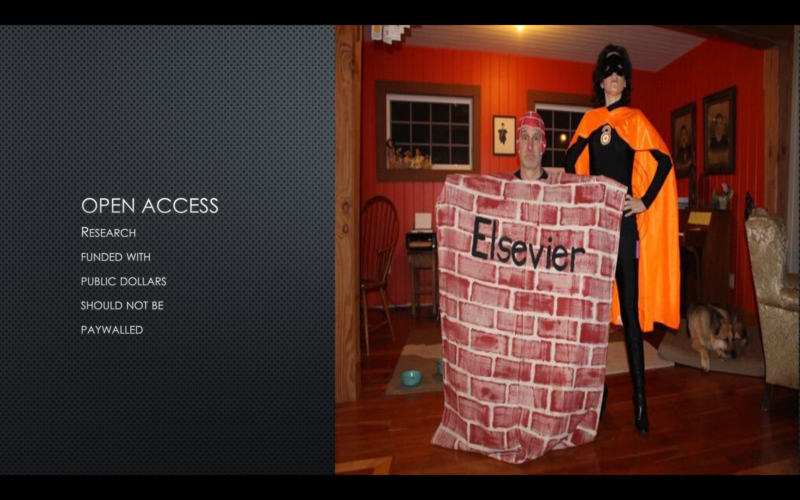 To start, we could openly license our research, and openly share our courses, committee work, projects, and products. 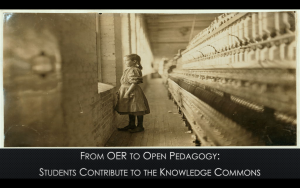 And we could adapt our pedagogies to allow for open sharing, and the ability of students to contribute to the publics to which they belong, to the publics which belong to them. We can’t save public higher education by privatizing it. 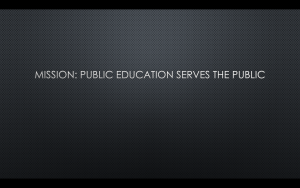 Only public high education has the central mission to serve the public to which it belongs. 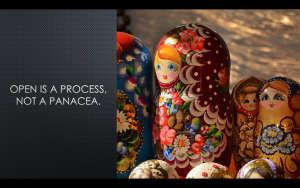 We know this, but we don’t have much of a vocabulary for describing what this mission looks like in practice, on the ground. 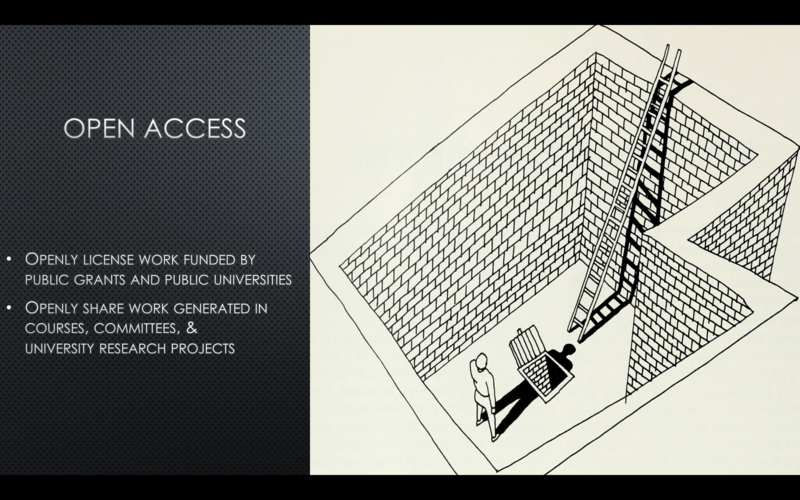 Our strategy needs to explain how we work in public, and how we work at public, keeping our networks open to everyone and vigorously defending access to knowledge for everyone…at every turn. 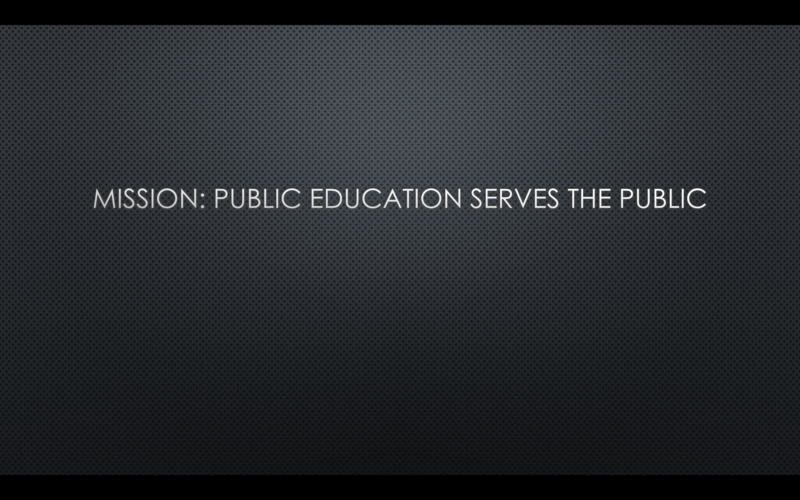 So what is public higher education? 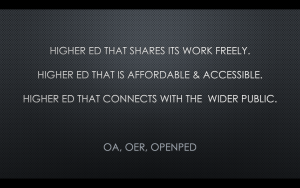 Public higher education is Higher Ed that shares its work freely; Higher Ed that is affordable and accessible; Higher Ed that connects with the wider public. 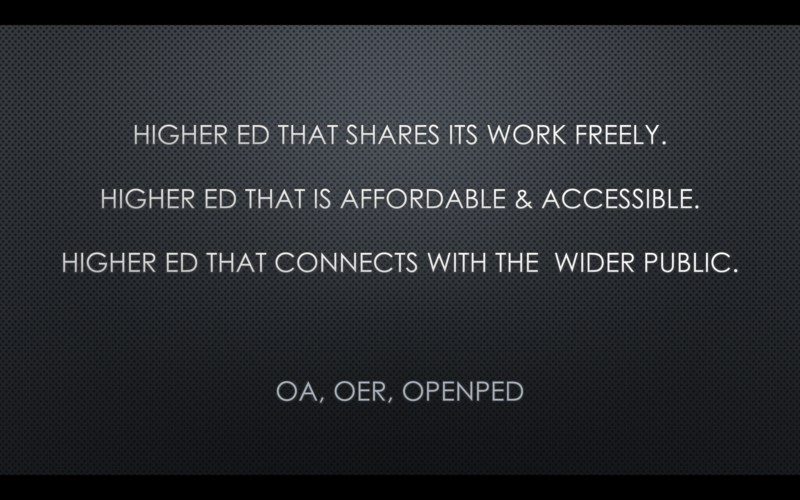 And these are the principles of Open Access, OER, and Open Pedagogy. 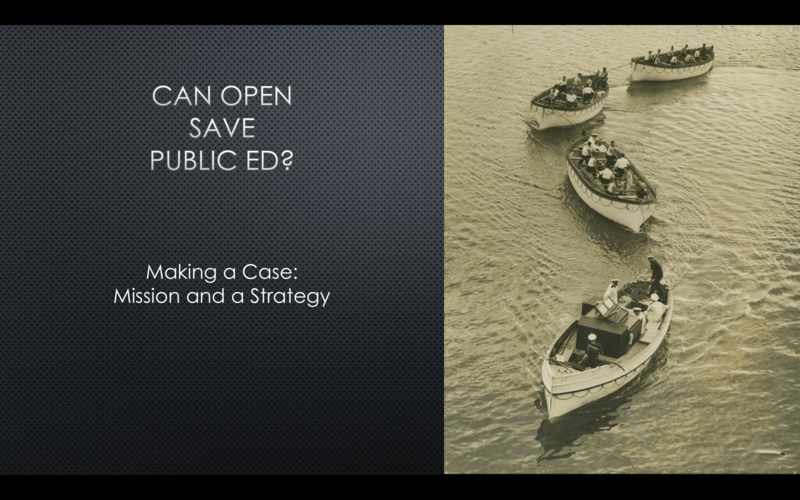 “Open” is not going to close the case for public higher education. 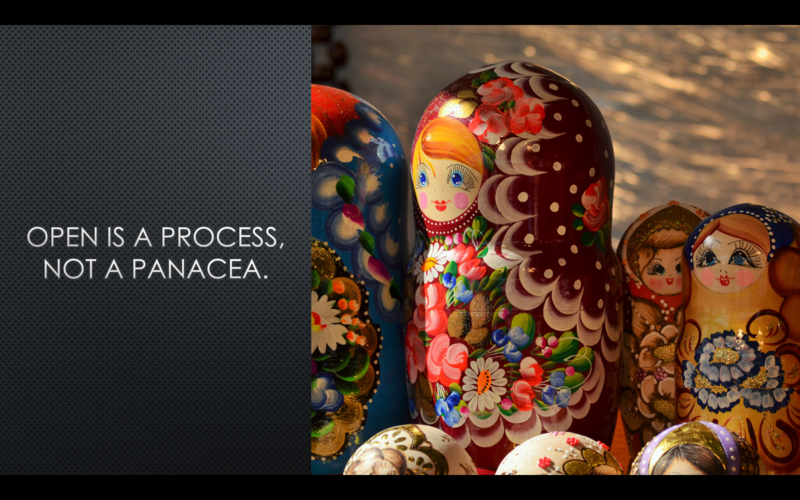 Open is a process, not a panacea. It’s a way of articulating an access-oriented mission and a symbiotic relationship between our academic worlds and the publics that surround them. But time is running out. 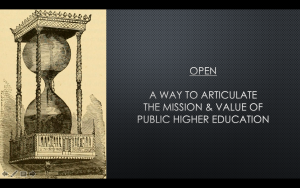 Before we give up completely on public higher education, we should use “open” to articulate our mission, and build a strategic and inspiring case for the value of public higher education.